"Just completed in 2019, Compass Lodge is a custom 1000 sq. foot cabin. 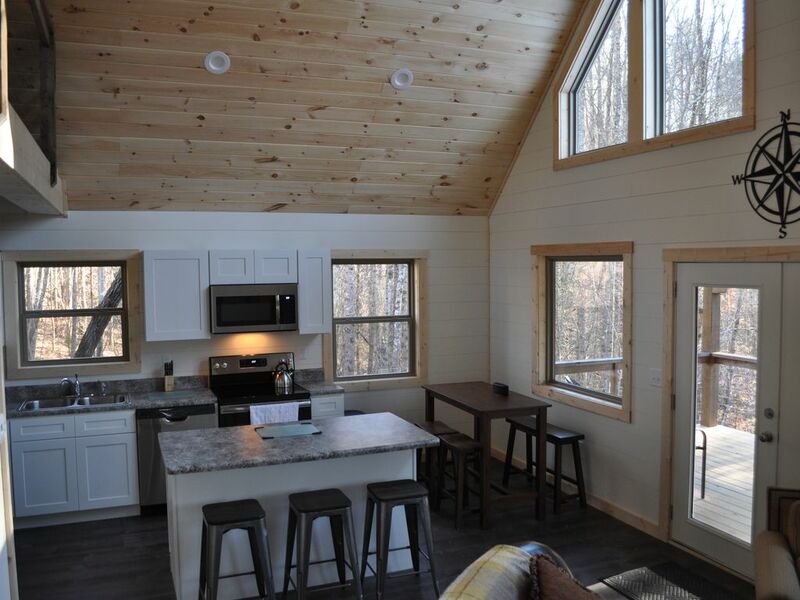 Nestled in the tress on almost 2 acres of Cherokee National Forest the cabin provides peace and tranquility. The interior is very bright and decorated in a modern/rustic design that has many wooden overtones. From the cabins 12 foot high deck you can actually reach out and touch the trees. Enjoy the night stars through the floor to ceiling windows."